Fighting dandruff as the summer is setting in? Does your scalp constantly itch and irritate you? Worrying about which shampoo to pick and which will be effective? Well, forget the shampoo and head to the kitchen since there are plenty of ingredients in your pantry which will fight dandruff effectively and save you that trip to the supermarket and the money that you would spend on anti-dandruff products. 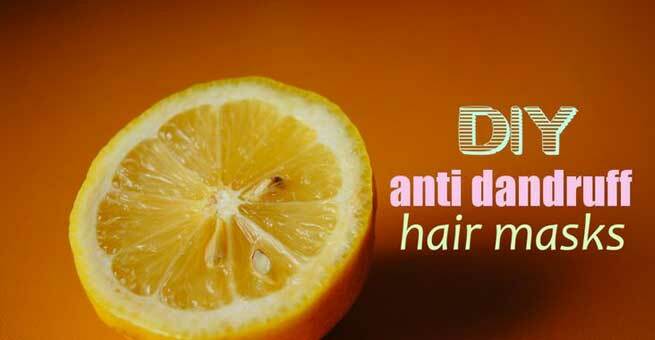 Lemon and yoghurt help in fighting dandruff. Lemon helps you get rid of any build-up or oiliness in the hair. Honey, which is a humectant will absorb moisture from the air and keep your hair from becoming dry. Mix 1 tsp of lemon juice with a tsp of yoghurt and honey each and apply it well on the scalp. Leave it for about half an hour. Wash off with a mild clarifying shampoo. Repeat weekly for best results. 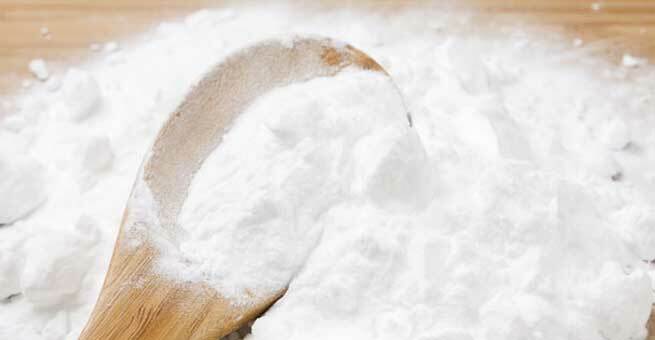 Baking soda has a mild abrasive property and it is also anti-fungal. So in effect, it removes anything that is clogging the pores in the hair and also prevents dandruff from occurring. Make a paste of two tsp of baking soda and some water. Apply this all over the scalp and massage well. Wash it off after five minutes. Follow it up with a conditioner since baking soda can be drying on the scalp. Be it dandruff or acne, tea tree oil is known to be very effective since it controls the production of sebum in the skin. It is also anti-fungal, thereby helping prevent the root cause of dandruff. Simply warm up some coconut oil and add a few drops of tea tree oil to it. Massage your roots well with this oil. Wrap your hair with a warm-damp towel and leave it for half hour. Shampoo as usual. Use it regularly for massage to see a reduction in dandruff. 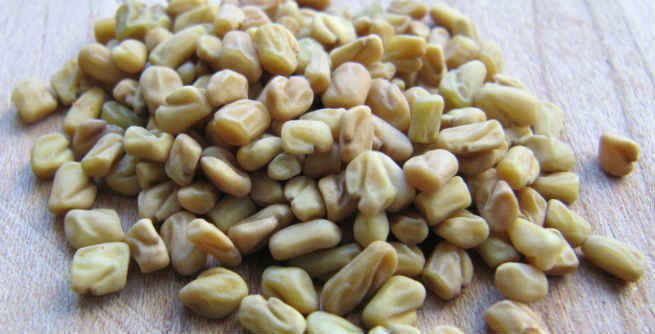 You can either use methi powder for this or soak methi seeds overnight and grind them into a paste the following morning. Make a thick paste and apply it all over the scalp and work it well into your roots. Spread it all over the length of the hair too. Leave this mask on the hair for about half an hour, until it completely dries out. Wash it off with shikakai powder or a mild shampoo. The methi not just helps you get rid of the dandruff, it also adds shine and bounce to your hair. Grind a handful of neem leaves into a fine paste. Apply this paste onto your scalp and leave it on until it dries. Wash the mask well with a mild shampoo. Use it regularly to get lasting results. You could also purchase neem powder and make a paste out of it with water and use as a mask. 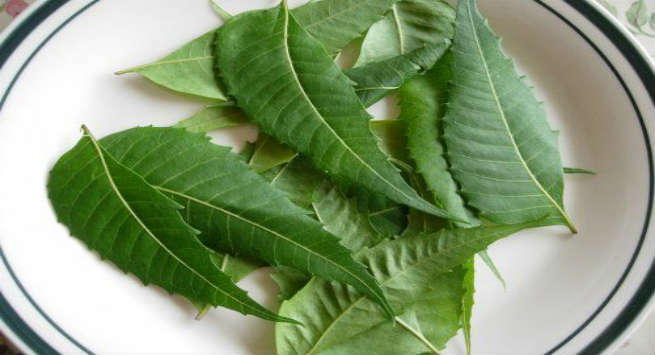 Neem has antiseptic properties and is also helpful in fighting all kinds of scalp infections. Along with all this, general scalp hygiene is also essential if you want to keep dandruff at bay. Wash your hair regularly and do not allow any product build up in the hair. Use a mild shampoo in case you wash your hair daily.